Ericsson Media Solutions has been reborn as MediaKind. MediaFirst has acted fast to shore up the legacy Mediaroom IPTV operator base by launching a new client facilitating migration to the more advanced MediaFirst multiscreen cloud platform. This comes just two months after MediaFirst was born as the rebranded version of Ericsson Media Solutions in July 2018. That in turn came after more than a year of uncertainty over the future of the division as Ericsson sought a buyer to focus more on its core communications businesses, leaving Mediaroom customers unclear over future direction for the platform. Mediaroom was originally developed by Microsoft and became the leading IPTV platform adopted by many Tier 1 Telcos including BT, AT&T and Deutsche Telekom, before being sold to Ericsson in 2013. At that point the platform had already suffered from some neglect as Microsoft had been focusing increasingly on unmanaged OTT services around its Xbox games console for example and Ericsson had to acquire additional technology to offer a convincing migration path forward to cloud based multiscreen services. A key acquisition in February 2014 was video analytics technology provider Azuki Systems, which added the crucial capability to account fully for the varying content rights associated with different connected devices. The point was that unlike IPTV or cable Set Top Boxes (STBs), connected devices were not preregistered or preconfigured to receive given subscribed services. The need was for services to be detected dynamically, authenticated and controlled on demand, according to the entitlement associated with each end device. To gain revenues from OTT services therefore, the definition of monetizable endpoints had to be expanded to include these devices, which was provided by Azuki’s platform. But then Ericsson itself lost some direction as it was buffeted increasingly by financial headwinds in its core markets and finally decided to exit media services. This culminated in the rebranding of Ericsson Media Solutions as MediaKind with Ericsson divesting a majority 51% stake in the business to private-equity firm One Equity Partners. MediaKind COO and Head of R&D Gowton Achaibar was previously in charge of Ericsson strategy in North America. 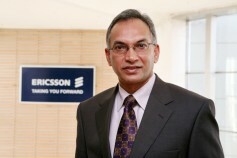 Ericsson’s competitors had sought to exploit the stagnation around Mediaroom by offering alternative migration paths towards their platforms rather than MediaFirst. Foremost here was Cisco, which in October 2017 launched its assault on the Mediaroom base with an initiative to move those customers onto its own Infinite Video Platform, a multiscreen service delivery platform based on adaptive bit rate (ABR) streaming, spanning back office to front-end applications. The enticement here was the promise that legacy Mediaroom STBs could be plugged into the platform in effect as multiscreen end-points just with software upgrades. In practice this only applied to newer Mediaroom STBs since original ones lacked the resources to operate as such end points, with Cisco keen to move these operators forward to contemporary Android devices in any case after announcing that Google software would be the primary middleware for Infinite Video. So it was a bit of a muddle and fortunately for Ericsson and now MediaKind, Cisco was suffering from equally severe problems of its own and was also seeking to substantially reduce its presence in media services, so major Tier 1 operators were hardly at that stage likely to entrust the company with core TV services. In fact Cisco’s exit from video infrastructure was even more ignominious as the business that had cost $5 billion in 2012 fetched only $1 billion in May 2018. Ironically it was purchased by European private equity firm Permira Funds to create a new company called Synamedia led by Abe Peled, the architect of the content security and User Interface business NDS that Cisco had bought for five times the amount. That dramatic loss in value reflects the changing dynamics of the video business but also indicates that Cisco, like Ericsson, had been too slow to adapt its strategy and technology to cloud based provision and compete with the likes of Amazon and Google. This year’s IBC 2018 in Amsterdam is an important stage for Synamedia to outline its strategy and how it will revitalize the Infinite Video platform. IBC is also important for MediaKind to show off its MediaFirst Client for Mediaroom, itself designed to expedite migration of Mediaroom operators to the MediaFirst TV Platform. This client operates on a SaaS (Software as a Service) basis from the cloud rather than operating in-house. 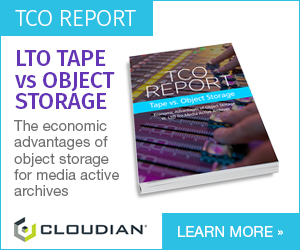 Like Cisco’s initiative it allows Mediaroom operators as far as possible to re-use their deployed STB hardware. According to MediaFirst this can save $150 per STB replacement, with a simple software upgrade. The promise here is also of a joined-up user experience across the different devices without any additional integration effort. It may though be too little too late, with success depending not so much on the quality of the technology but whether operators believe the company is best placed to carry them forward to cloud-based services. Much will depend also on the detailed strategy spelt out at IBC 2018 and elsewhere.